Joseph Frost is a self-taugh artist born in Czechoslovakia. Joseph Frost was born in Czechoslovakia in January 1953. A natural gift for drawing was evident in his early childhood and sketching developed into his main hobby. Although basically self-taught, Frost developed his techniques by studying the original works of the old European Masters. 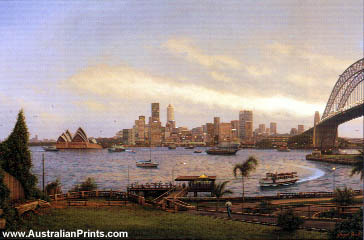 Soon after arriving in Sydney in 1974, he took up painting as a means of self-expression and earning a living. 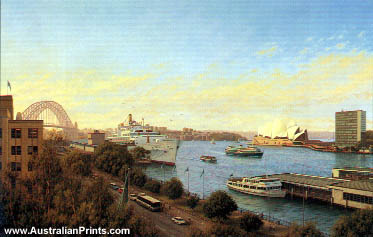 Sydney’s magnificent harbour gave Joseph the opportunity to develop his talents as a successful marine artist. After three one-man exhibitions of marine subjects and Sydney Harbourscapes, he changed direction in his subject matter, developing a feeling for landscapes, and moved to Numeralla, near Cooma, in southern New South Wales. The softness of the early morning and later afternoon light provided him with the inspiration to bring out the natural beauty of the Australian landscapes. ‘Contre-jour’ (against light) technique, combined with fine brushwork and subtle shades of colour, has become Joseph’s trademark. 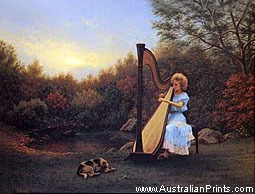 He is presently settled in a rural atmosphere in the southern highlands of NSW. Up to 1987 Joseph had 10 one-man exhibitions in New South Wales, Victoria and South Australia. Artist information page for Joseph Frost.